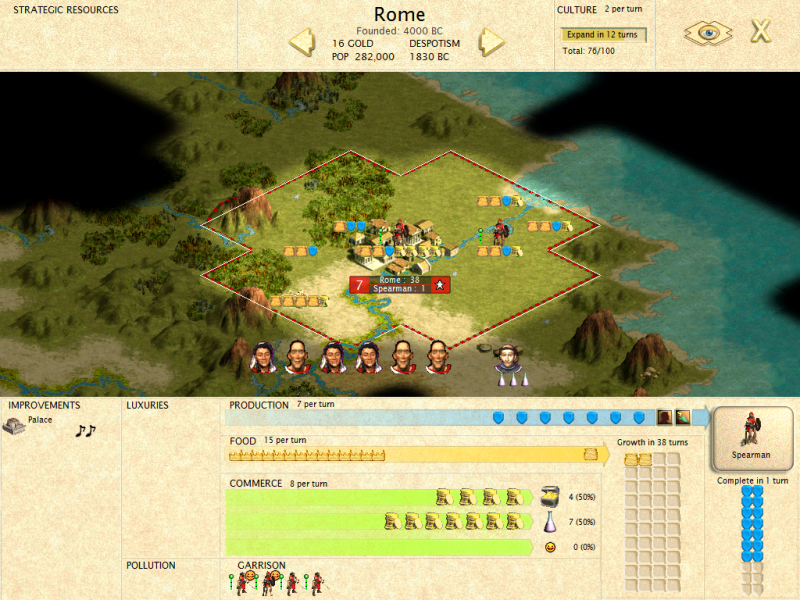 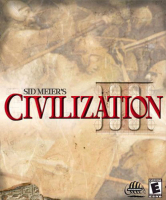 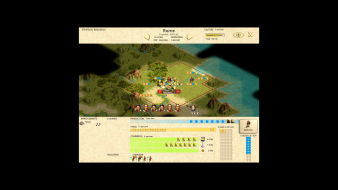 Civilization III is a turn based strategy game from Firaxis Games and Infogrames. 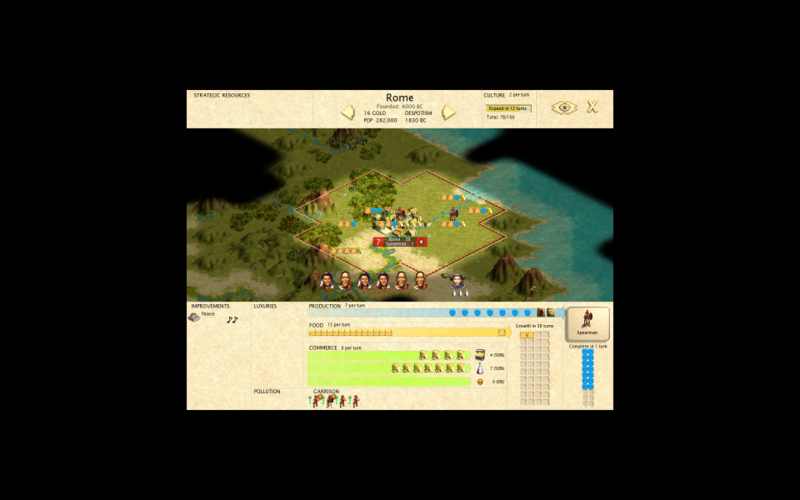 The basis of Civ 3, like in the previous two, is building a civilization from a primitive tribe to a modern empire, developing cities, technology, and culture, and conquering weaker empires while making peace with stronger ones. 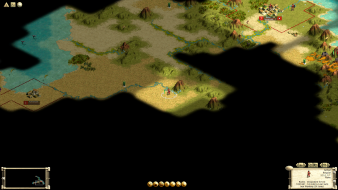 When you run the game, it should run at your desktop's resolution instead of 1024x768. 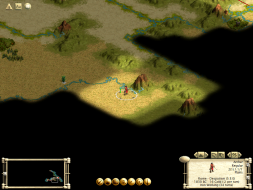 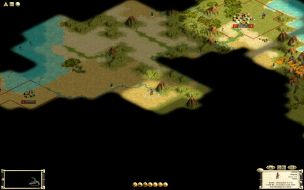 All of the game's various GUIs, dialogues, and interface windows have a fixed resolution, and scale correctly with the normal world map visible in the background. The only game element that does not work this way is the city screen. 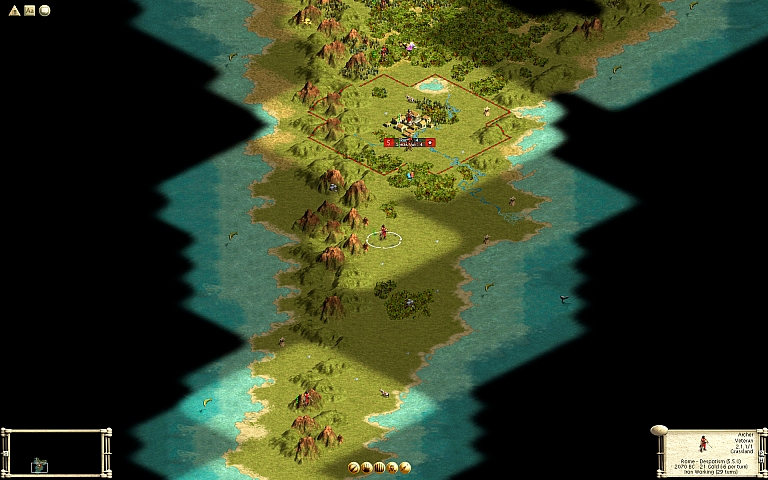 It is fixed at 1024x768, and if you run the game at a higher resolution, it is windowboxed.